Everyone who lives in the Great Lakes region has a role to play to ensure the lakes are restored and protected, now and in the future. Whenever the IJC is asked to research and recommend actions to address issues facing any boundary water, including the Great Lakes, we ask for your input as well. From 1978 until 2011, the IJC held large, multi-day public meetings every two years to hear how citizens felt about water quality in the lakes, after which it presented its biennial reports to governments and the public with an assessment of progress and recommendations. For specific information about any of these past meetings, please email commission@windsor.ijc.org. In the 2012 Great Lakes Water Quality Agreement, work by the two countries and the IJC is completed on a triennial basis. The IJC expanded its public consultation approach to include several smaller public meetings throughout the region, and also encourages comments via social media, our newsletters and other methods to get everyone’s assessment of how the Great Lakes are doing, what issues are considered most important for the governments to tackle, and how to best ensure the health of the lakes for generations to come. Whenever the IJC holds public meetings about the status of the lakes, citizens are invited to provide their thoughts and ideas. You can read the comments received in the 2016-2017 public meetings for the first assessment process under the 2012 agreement in the Summary of Public Comment Appendix. Recordings of citizen comments and presentations from all 2016-2017 public meetings are available on the next page. A full list of consultations for the next assessment process will be listed here in and in Great Lakes Connection. Find a meeting near you and contribute your thoughts about the future of the Great Lakes, or provide written comments at any time. Your words, whether written, spoken or filmed, connect us with the personal, emotional and cultural ways that you enjoy and value these precious bodies of water. 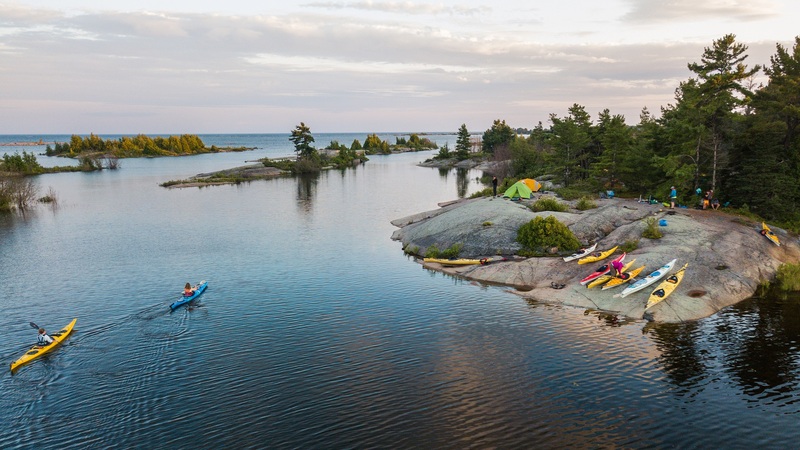 The lakes' beauty, immensity, a particularly beautiful beach or favorite rock cove, a fun or memorable experience on or in the water -- they memories are what connect us forever to the Great Lakes. In partnership with Lake Ontario Waterkeeper, the IJC is gathering and sharing a special Great Lakes Watermark collection. Add yours today at IJC Great Lakes Watermark Project. Your input is essential to the success of the Great Lakes Water Quality Agreement. Subscribe to our newsletter, Great Lakes Connection, and connect with the IJC via Twitter, Facebook and Instagram to receive the latest news about the lakes and when the IJC will hold its next public meetings.